While reducing your risk for breast cancer is an impactful part of a proactive lifestyle, it’s also important to know how to detect breast and ovarian cancer as early as possible—the sooner it’s detected, the greater the chance of survival. Early detection all starts with knowing your body and understanding the signs and symptoms to look out for. By regularly monitoring yourself, you’ll be in a better position to spot any changes or abnormalities early. On top of being Breast and Ovarian Self-Aware, it’s important to understand and practice the appropriate breast and ovarian cancer screening measures for your level of risk, which we’ve detailed in the screening section below. Breast Self-Awareness is key when it comes to early detection. Everybody’s breasts are different, so it’s about getting to know the normal look and feel of your breasts, and speaking up if you notice any changes. It also means knowing your family history (and whether it increases your risk), the signs and symptoms of cancer, and how the lifestyle decisions you make in your daily life play a role in increasing or decreasing your risk. 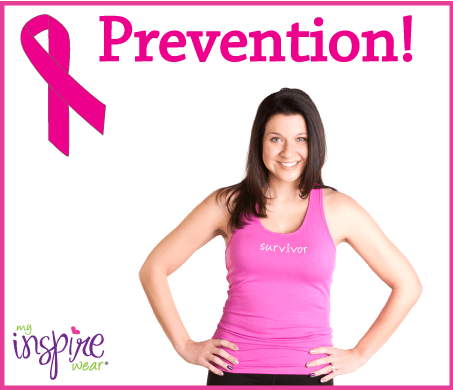 The most common symptom of breast cancer is a lump. Some women have naturally lumpy breasts and soft, mobile lumps that come and go with your period. This can be totally normal, as breast tissue responds to our bodies’ hormones. That’s why some of us feel tenderness or lumpiness in our breasts around our periods. If a lump or change goes away after your period is over, chances are its nothing to worry about. If you find a lump, don’t panic. 80% of lumps found end up not being cancerous. We all have different breasts – different sizes, shapes, and with various types of lumps that may come and go. What’s standard for you may not be your friend’s “normal,” but what’s most important are changes. Keep tabs on yourself to make sure your breasts are their usual size, shape, and color. Touch your breast tissue from multiple angles with varying pressure to feel both the deep and surface layers, from the interior by your ribs to just below the skin. Don’t forget that your breast tissue extends up your collarbone, around to your armpits, and into your breastbone.